Level scaling in an MMORPG is a wonderful thing. It makes the world more immersive, it effectively expands the available content, and it breaks down social barriers. I am a firm believer that having level scaling is almost always better than not having it, but not all level scaling systems are created equal. The ideal level scaling system is easy to use, rewarding, and liberating, without entirely erasing a player’s sense of progression. 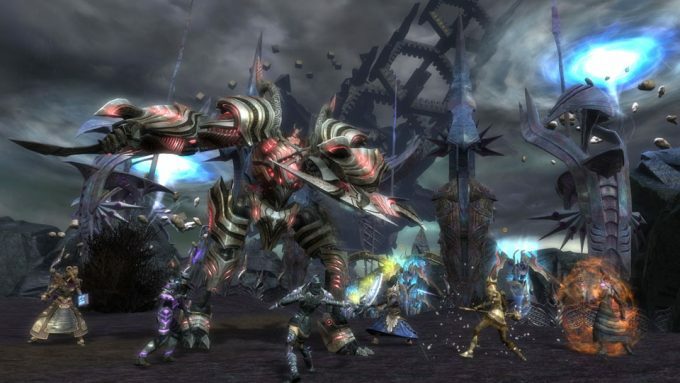 Let’s take a look at some of the best systems in currently running MMOs. EverQuest 2 doesn’t have global level scaling, but it does allow players to “mentor,” lowering their effective level for a time. As the name would imply, the system is mainly intended for use by high level players who want to assist their low level friends. Mentoring grants bonus experience to the person being mentored and also allows the higher level player to gain some rewards from content that would otherwise be trivial to them, though their XP gain is reduced while mentoring. EQ2 players can also “self-mentor” by visiting an NPC and paying a small fee. This allows them to lower their effective level in five level increments. You can cancel the self-mentoring at any time, but to reactivate it you’ll need to return to the NPC. It’s a bit of a clunky system, but it’s better than nothing. 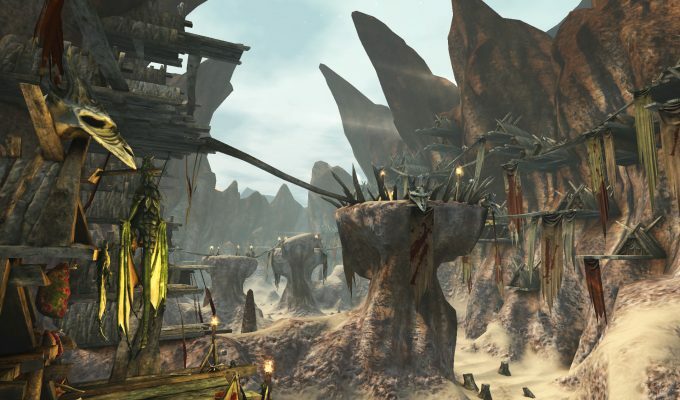 Guild Wars 2 is by no means the first MMO to feature level scaling of some kind, but it is arguably the MMO that put the concept on the map, as least as far as the modern era of MMORPGs goes. 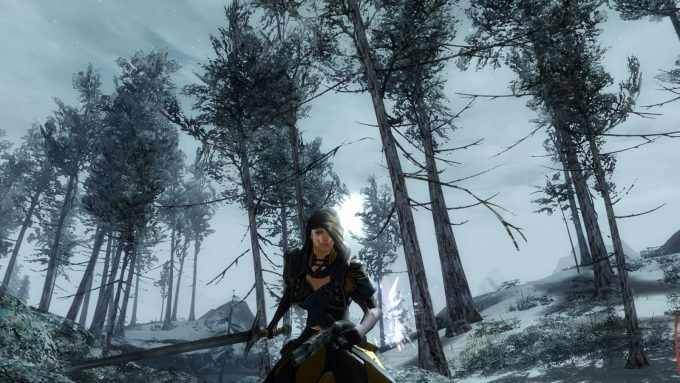 GW2 made its global level scaling a core selling feature of the game, focusing on its potential to aid socialization and keep the entire game world relevant. In GW2, each zone effectively has a maximum level. Anyone exceeding that level is scaled down to it, though they will still receive experience and loot commensurate with their actual level. It’s a pretty good system, but it’s not perfect. While improving your skills and gear can still make some difference, the rather strict level cap on each zone means that you’re not going to feel that much more powerful as a level eighty in a level ten zone. But at least it does deliver on its promise of helping people group together and keeping the whole game world relevant. SW:TOR uses a system that’s similar to that of Guild Wars 2, but I would argue it’s a little better. Like GW2, each of SW:TOR’s zones has a maximum level that all players will be scaled down to, but in this case the max level is slightly above the intended level range of the zone. Therefore, when you return as a high level character, you’ll be noticeably stronger than you were when playing at-level, but not quite enough to totally trivialize the content. And of course you’ll be getting rewards equivalent to your actual level. For me, this hits the perfect balance of rewarding progression without making older content completely toothless or irrelevant. Rift’s level scaling comes in the form of a mentoring system similar to EverQuest 2’s, but it’s much more flexible and easy to use. Mentoring in Rift can be used to exactly match the level of another player, and is applied automatically in certain types of content, like Instant Adventures. Players can also mentor themselves down at any time by simply clicking their portrait and selecting the option. In this way the player can set themselves to any level below their own, while still receiving rewards equal to their true level. The beauty of this system is that it puts a lot of power in the hands of the player. Not everyone enjoys level-scaling, and in Rift they need not be subjected to it if they don’t want to. If you do enjoy scaling, you have a lot of flexibility when it comes to when and how to use it. You can set your level equivalent to or even below the recommended level of the content you’re doing if you want a challenge, or set it slightly above if you want things to be a little easier. So far all of the level scaling systems mentioned in this list have one thing in common: They only scale you down, never up. 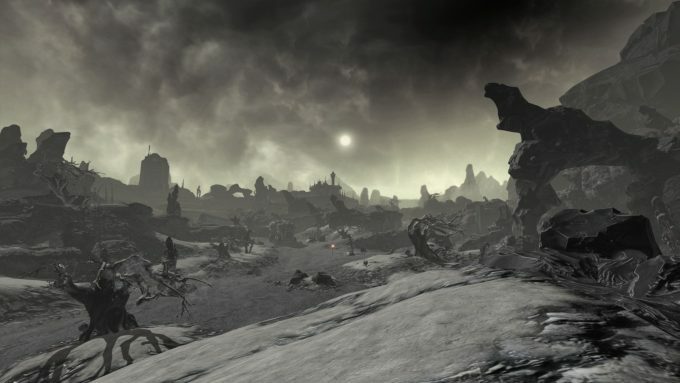 Elder Scrolls Online is a rare and welcome exception. Actually, saying it can also scale you up is over-simplifying things a bit. 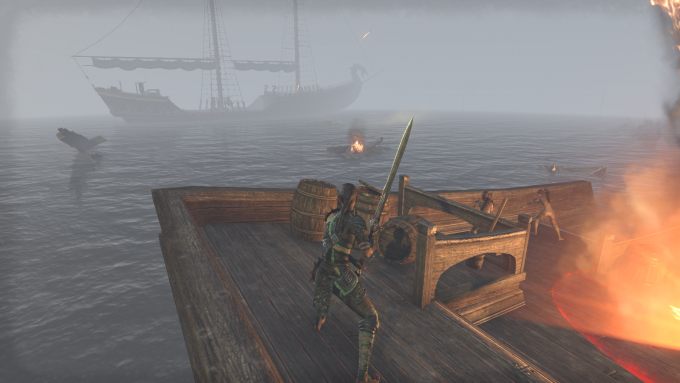 Really what ESO does is scale everything — from players to mobs — to a single effective level across the entire game. This system was dubbed “One Tamriel,” and that’s actually a pretty good tagline, as it unifies the entire game into a single cohesive world in a way few MMOs ever accomplish. In ESO, you can pretty much do anything, any time. You might have a little trouble getting raid invites as a level one character in white gear, but short of that, there really aren’t any limits. Faction restrictions on content have also been removed, so you truly can go anywhere and do anything whenever you want. Obviously this makes group play a lot easier. If you’ve played since launch and your friend just joined, you can still group together while both being challenged and rewarded. It also makes leveling alts a lot more appealing, since you can take an entirely different leveling path, even if both characters are the same faction. It also doesn’t entirely erase a sense of progression. Leveling up provides you with more skill points to expand and enhance your build, gear still increases your combat performance, and the Champion Points earned after reaching max level can have a significant impact on your character’s power. In a perfect world, One Tamriel would be the example upon which all MMORPG level scaling systems are based. It’s simply excellent. This entry was posted in General MMOs, MMO Game Design, MMO Opinions, Socializing Online, Top X Lists and tagged Elder Scrolls Online, EverQuest II, Guild Wars 2, Rift, Star Wars: The Old Republic on July 16, 2017 by Tyler Bro. I have to disagree about ESO. I picked it up again for a few hours after it went “One Tamriel” and I found that the lack of noticeable upward progression made it completely boring to me. Hence why I only picked it up for a few hours. Of course, I’m one of those that simply loves to level characters up and once a class hits cap I don’t tend to grind for gear or go raiding, I start another alt to level up some more. ESO makes everyone essentially max level from the get-go, so there’s nothing to do but grind for gear and/or champion points. For me that’s a big yawn. Hmm, guess i’m a bit late to this, but i dare to say that i don’t share your point of view. I returned to ESO a few months ago (after rejecting it twice due to a number or problems, which were fixed at or around the one tamriel update) and also agree that it’s probably the best system i experienced for level adjustment up to now. That being said, if you didn’t notice upward progression, you might have missed what you can do with abilities, morphs and passives. Your character does get significally and noticeably more powerful by getting access to the higher level abilities and passives. Some of them really change how a character can be played. But it’s also true that you need to invest some time to figure out the good combinations. It’s a bit like good old TSW, where people also complained that “everything is the same”, while not noticing the small but important differences which made all the difference on how well a setup actually performed. And just like in old TSW, not every information is obvious or clearly visible, so you have to invest into it to really learn what makes the higher abilities so desireable. And truth to be told, in ESO i didn’t invest the time to figure out these things myself. I had the same doubts of “this can be very bland and boring”, but i looked up a few youtube videos of a guy called “gilliam the rogue”, where he explained a lot about abilities, how they work and connect to others, synergies, etc. That really gave my characters a basis and brought them on track. Sure i modify based on situation, taste and preference, but i really needed the deeper knowledge to get there. So just like in TSW there’s some dedicated community members who do a lot to help out new players and provide good information, but just like old TSW would’ve needed ways to better and easier provide information to the player, the same can be said for ESO.